・W. Kubo, Y. Yokota, and T. Tanaka, “Au nanodot lattices with well-controlled in size and density for thin organic solar cells”, Physica Status Solidi-Rapid Research Letters, 9, 348-352, 2015. ・W. 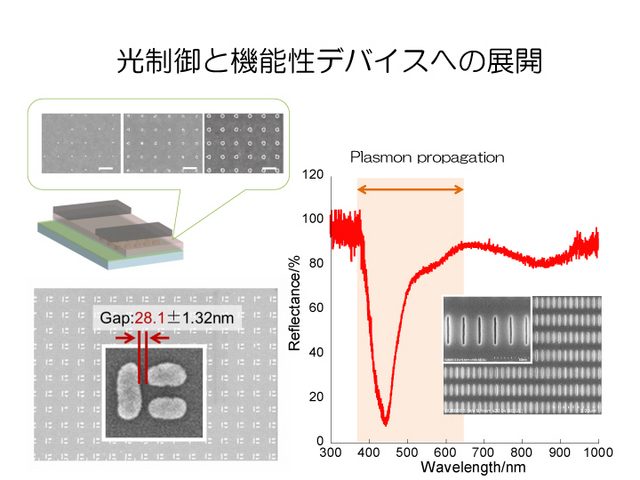 Kubo, S. Fujikawa, “Au double nanopillars with nanogap for plasmonic sensor” Nano Letters, 11, 8-15, 2011. ・W. Kubo, H. Hayakawa, K. Miyoshi, S. Fujikawa, “Size-controlled simple fabrication of free-standing, ultralong metal nanobelt array” Journal of Nanoscience and Nanotechnology, 11, 131-137, 2011. ・W. 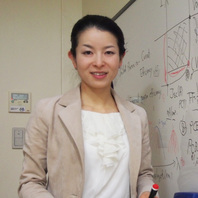 Kubo, S. Fujikawa, “Manipulation of a One Dimensional Molecular Assembly of Helical Superstructures by Dielectrophoresis”, Applied Physics Letters, 95, 163110-1-3, 2009. ・W. Kubo, S. Fujikawa, “Embedding of a Gold Nanofin Array in a Polymer Film to Create Transparent, Flexible and Anisotropic Electrodes” Journal of Materials Chemistry, 19, 2154-2158, 2009. ・W. Kubo, T. Tatsuma, “Mechanisms of Photocatalytic Remote Oxidation” Journal of the American Chemical Society, 128, 16034-16035, 2006.6.